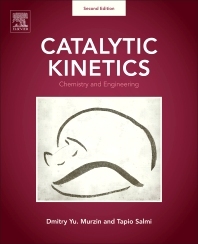 Catalytic Kinetics: Chemistry and Engineering, Second Edition offers a unified view that homogeneous, heterogeneous, and enzymatic catalysis form the cornerstone of practical catalysis. The book has an integrated, cross-disciplinary approach to kinetics and transport phenomena in catalysis, but still recognizes the fundamental differences between different types of catalysis. In addition, the book focuses on a quantitative chemical understanding and links the mathematical approach to kinetics with chemistry. A diverse group of catalysts is covered, including catalysis by acids, organometallic complexes, solid inorganic materials, and enzymes, and this fully updated second edition contains a new chapter on the concepts of cascade catalysis. Finally, expanded content in this edition provides more in-depth discussion, including topics such as organocatalysis, enzymatic kinetics, nonlinear dynamics, solvent effects, nanokinetics, and kinetic isotope effects. Dmitry Murzin is Professor of Chemical Technology at Åbo Akademi University in Turku, Finland, and for the past 10 years he has served as Professor at the Finland University's Laboratory of Industrial Chemistry and Reaction Engineering. Previously, he headed the chemicals division of BASF Corporation in Moscow. He also spent seven years as a researcher in the Department of Catalysis at the Karpov Institute of Physical Chemistry, Moscow. From 2009–2013 Murzin served as Vice President of the European Federation of Catalysis Societies. Murzin is author or co-author of more than 650 journal articles and book chapters. Tapio Salmi is Professor of Chemical Reaction Engineering at Åbo Akademi University in Turku, Finland. He is head of the Industrial Chemistry and Chemical Reaction Engineering research team. His current research focuses on the development of wood-based liquid biofuels to replace oil-based fuels. Salmi has published more than 500 articles in international scientific journals and book chapters. He is a member of the European Federation of Chemical Engineering Working Party on Chemical Engineering.